Bold Ranch is a working and recreational ranch located southeast of Winifred in the heart of Central Montana. We harvest the grain that feeds the world! The harvest finds us traveling through six states and harvesting over 50,000 acres a year. Kriesel Certified Seed is a certified seed business, specializing in the production & conditioning of small grains. We offer grains especially adapted for the semi-arid Great Plains region. Roland Harvesting has been running New Holland twin rotors for 30 years. Every summer Roland Harvesting heads south to Texas and works their way north through Oklahoma, Kansas, Nebraska and back to Hemingford as they follow the wheat harvest. 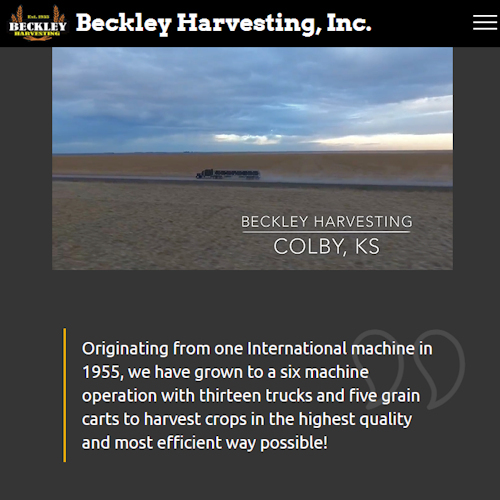 In August, they travel to North Dakota to complete the wheat run and into Wyoming to harvest malting barley. The season is finished in late fall with corn, bean, millet, and sunflower harvest in the panhandle of Nebraska. Platte Valley Ag Products is a family owned feed mill capable of taking high quality alfalfa hay and turning into an all natural pelletized feed. The crops we harvest include: corn, soy beans, milo, barley, wheat, canola, oats and lentils. Our harvest season takes us through Texas, Oklahoma, Nebraska, Kansas and South Dakota.